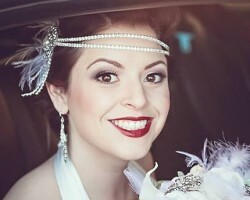 A certified beauty makeup artist, Katherine Alexandra is one of the best Scottsdale makeup artists and offers a broad range of services from wedding hair and makeup services to permanent makeup services. Katherine employs different makeup techniques designed to fit the needs of each of her clients. In this regard, Katherine is more than competent to handle any makeup artistry task thrown at her. Also, she has amassed a wealth of knowledge in cosmetics from several institutions including Make-Up Designory and American Institute of Permanent Color Technology. Julia Ismailova is both a micro pigmentation consultant and a makeup artist in Scottsdale, AZ. Her background in corporate America combined with her passion for makeup artistry has made her one of the most sought after permanent makeup artists in the Phoenix metro area. Julia thrives at making her clients beautiful and is a member of the International Permanent Makeup Society. Julia also offers complimentary consultation services to her customers and also specializes in G-Body-Art. Yolanda of Bombshell Beauty by Yolanda is a professional makeup artist specializing in bridal makeup and eyelash extension services. Yolanda also offers affordable makeup services for other occasions such as portrait sessions. Before establishing her own makeup artistry business, Yolanda served as a freelance makeup artist for one of the most trusted companies in the cosmetics industry, MAC. Her five-year stint at the agency imparted her with useful knowledge and skills, which she has used in her business with great success.